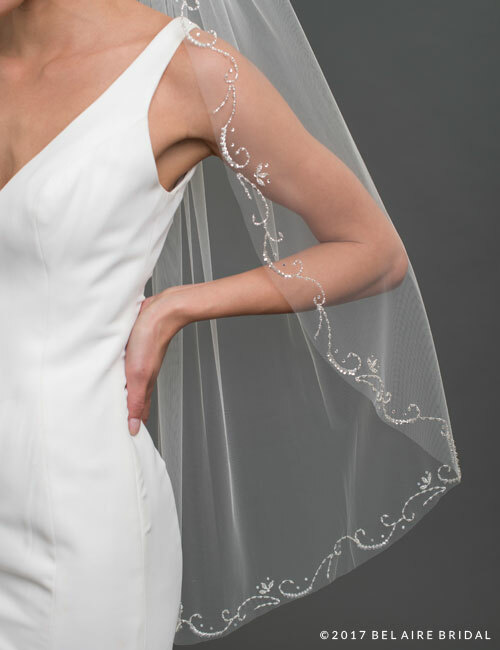 Enhance your ensemble with a lovely beaded edge veil. 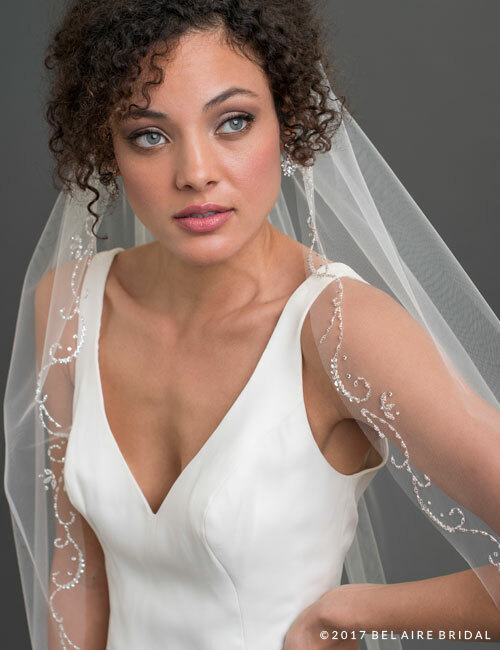 Shimmering silver beaded scrolls and tiny rhinestone accents add a touch of glamour. Add glittering jewelry to finish off your look. Available in ivory or white.